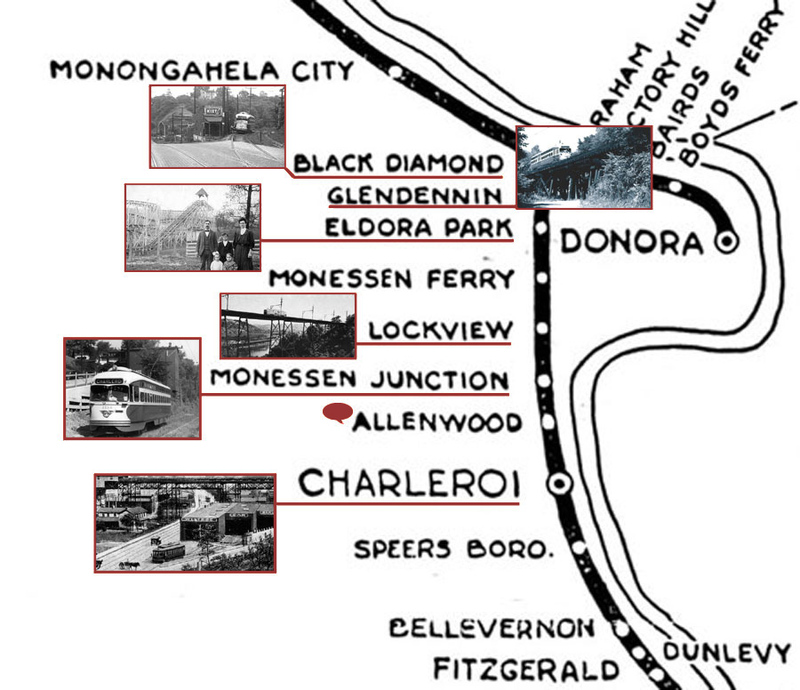 The map below is from Construction of the Charleroi Interurban (1945). Note: The Glendenning Station was incorreclty listed on this map as Glendennin. The map below is from The Charleroi Interurban (1944). To read the reminiscence of a young boy riding the Charleroi Interurban in 1932, see: A REMINISCENCE OF MY YOUTH, contributed by the late Tom Phillips. 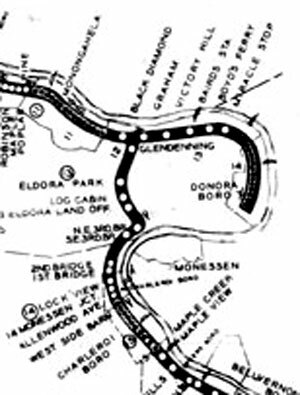 Allenwood was the name given to a plan of lots laid out by Mr Allen bordered by Lincoln Ave (the car line), lower 7th street, West Liberty Ave, and the Charleroi line. Mr. Allen's big home above it became the first Charleroi-Monessen Hospital.